Interested in donating a formal dress to someone who could otherwise not afford to purchase a PROM dress for herself? 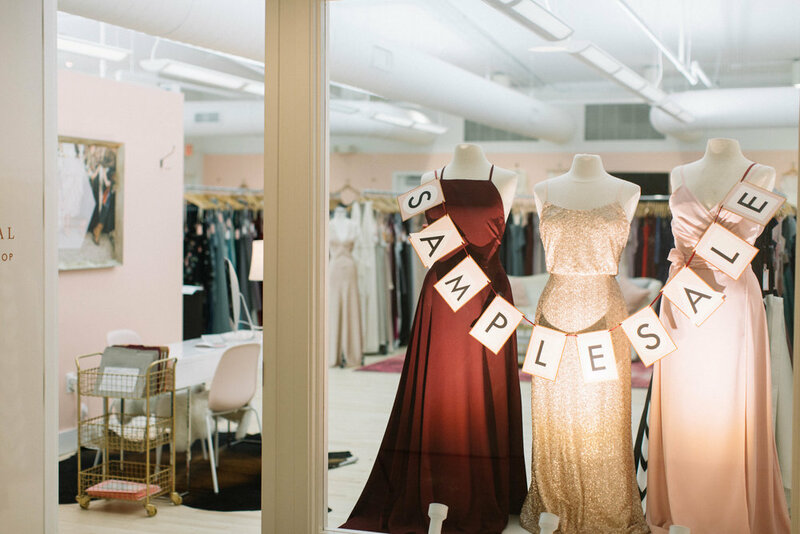 Bring your dress into Gilded Social, and we’ll donate it to Fairy Goodmothers and give you $25 OFF YOUR SAMPLE SALE purchase! No appointment needed. Want to preview our selection? Head to our Instagram profile and check out our story highlights for photos! *Separates sell for $50. Select and unworn reorders, Adrianna Papell & Flower Girl samples are 50% off retail price.